As of Ensembl release 96/Ensembl Genomes release 43, we will retire rest.ensemblgenomes.org and invite you to use rest.ensembl.org instead. Today we are meeting Guy, who works in the Plants team of Ensembl Genomes. He talks about how he came to Ensembl, his interests and experiences so far. Ensembl Genomes 42 is out! 10th January 2019 by Ben (Outreach)·Comments Off on Ensembl Genomes 42 is out! We’ve just released Ensembl Genomes 42, with new and updated plant species, including soya and tomato, as well as three new species for Ensembl Metazoa. 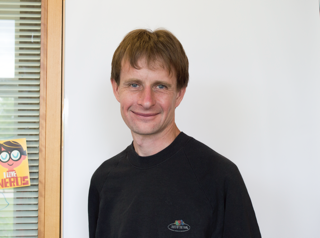 This month we’re meeting Paul Kersey, who is the Ensembl Genomes team leader. Ensembl Genomes 39 has been released! 20th April 2018 by Astrid (Outreach)·Comments Off on Ensembl Genomes 39 has been released!